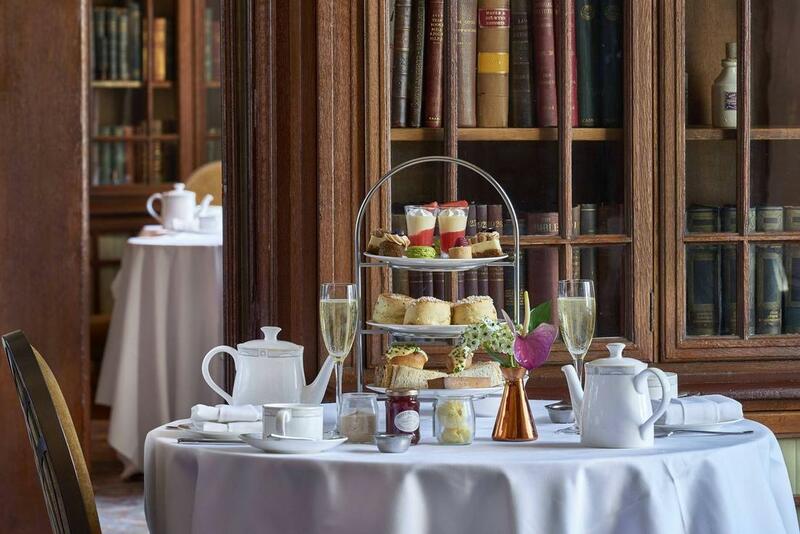 An afternoon tea experience at the Library Lounge at Marriott County Hall is a truly magnificent experience. Served in this spectacular river-facing lounge, a choice of several varieties of tea, finely cut sandwiches, freshly baked scones with jam and clotted cream and a range of delicate homemade cakes are combined to make for an unforgettable afternoon. A glass of Champagne can be added to your afternoon tea to give this quintessentially British tradition a bit of a twist. Officially opened in 1922 by King George V and Queen Mary, County Hall has had a colourful past. From being struck by a bomb in World War II to the infamous political battles between Ken Livingstone of the Greater London Council and Margaret Thatcher’s Conservative government during the 1980’s, the County Hall has been stamped by history. During this time the Library Lounge at County Hall served as the Member’s Library for delegates at the Greater London Council. The bookcases are made of oak on which the busts of Milton, Shakespeare, Agrippa, Plato and other classical figures sit. The fireplace at the south end of the room has a carving by A.H. Wilkinson (1922) of ‘Truth reading aloud, the second figure recording, with the plumed helmet of Minerva, Goddess of the Arts.’ Behind it was once the librarian’s office with an oak spiral staircase to the gallery.